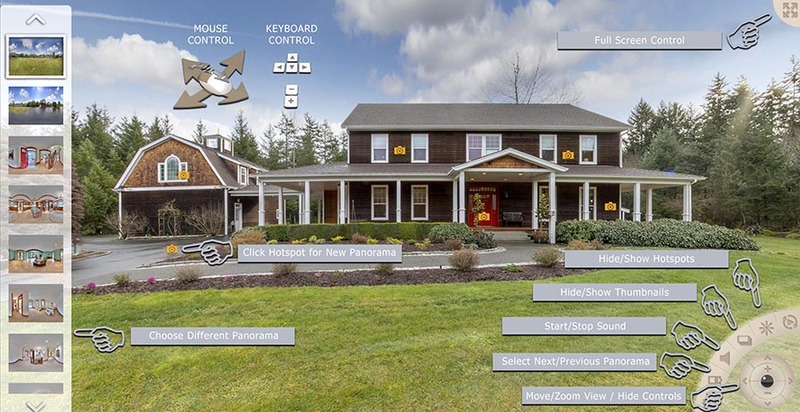 Looking for the very best way to utilise that “Virtual Tour” link in the MLS? Then an interactive 360 degree panoramic tour with multiple viewpoints is just what you need. Click either of the images below to see just how impressive a 360 degree tour can be and if you view on an Ipad you can use the inbuilt accelerometer to truly feel like you have a window into another dimension! Looking for the Ultimate Tour then choose the High Resolution option which is unsurpassed by any other capture method including Matterport etc. By using a similar method to our regular High Resolution Listing photography we capture 42 Twenty Megapixel images for each panorama to produce images over 13,000 pixels wide for an incredible viewing experience. We even add in 360 Panoramic Blue Sky and Puffy Clouds when needed. Typically 30 mins or less. Most homes are $200 or less. See the full ceiling and floors. Cumbersome slow to navigate tours.